Classroom seating these days isn’t limited to chairs at desks. Many teachers love the option of tables or other flexible seating arrangements. 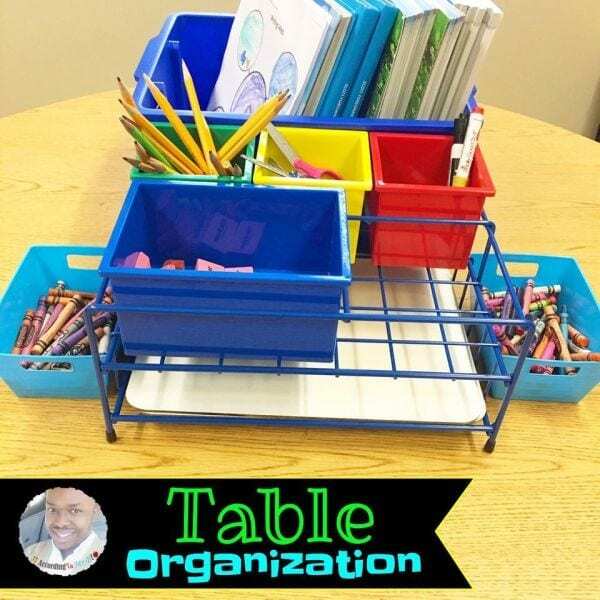 These arrangements do raise the question, though: “What do I do with all the STUFF my kids need?” Fortunately, the members of our WeAreTeachers HELPLINE group have shared some of their best student storage ideas, and we’ve added a few more of our own favorites. Give these a try and remember to teach your students to always put everything back where they found it! Hit the dollar store for inexpensive plastic shower caddies and customize them for your classroom needs. 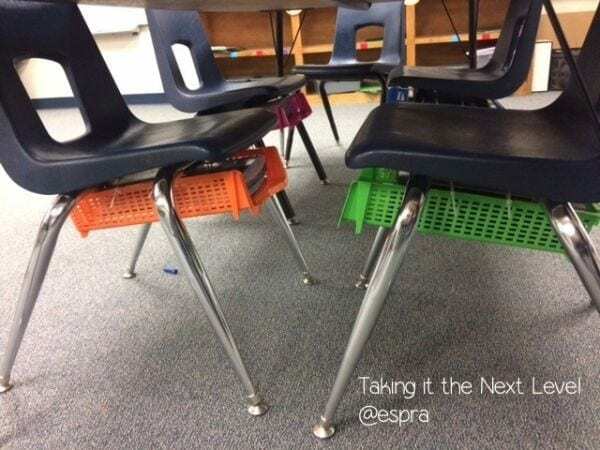 Attach baskets to the bottoms of chairs or to the chair legs using zip ties for individual student storage. With a little creativity, this solution works for just about any chair style. 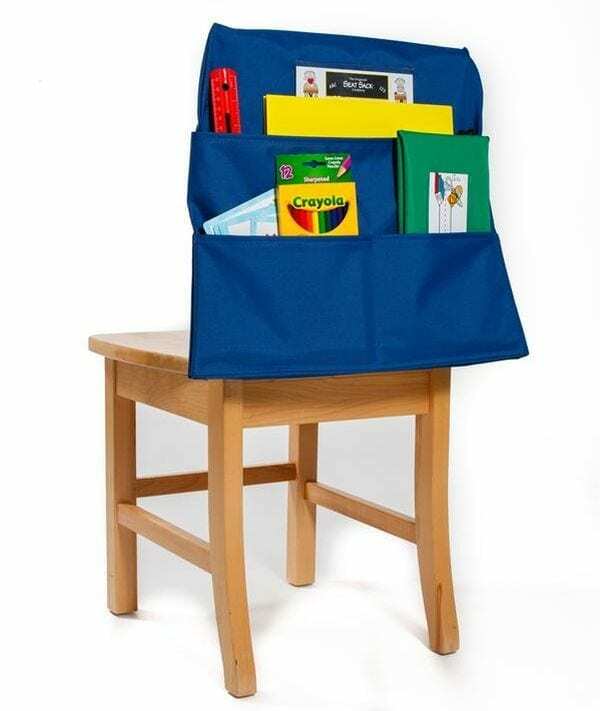 Jane P. shares, “Our kids have these sorts of backpacks or pouches that hang off the back of the chairs.” You can buy these in a variety of sizes or have a handy parent with a sewing machine help you make your own. Speaking of handy parents (or if you’re feeling like doing a DIY), these racks for holding sliding laundry baskets are quick to assemble and inexpensive too. 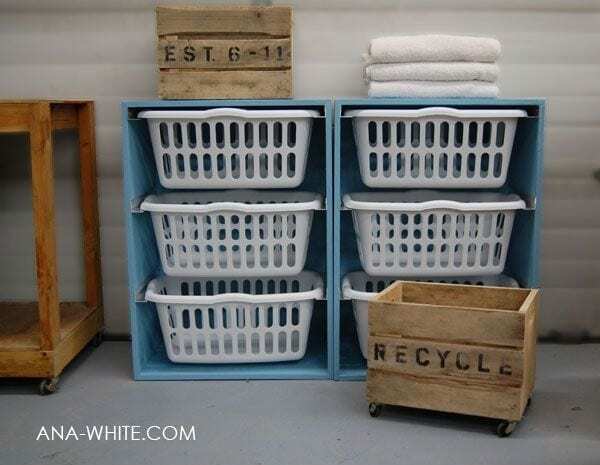 If laundry baskets are really more space than you need, alter the plan to hold smaller plastic baskets from the dollar store. Another sliding option is the Trofast storage series from IKEA. 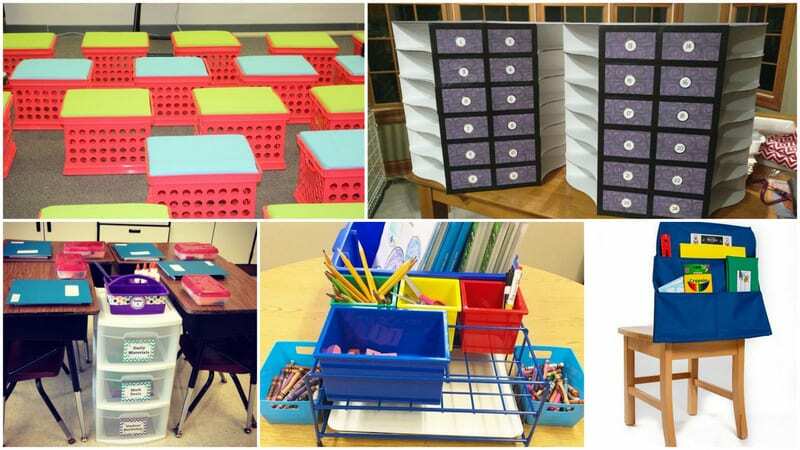 The bins and frames come in a variety of sizes and configurations, so you can customize for your classroom. You’ll find these caddies just about everywhere during the summer barbecue season. Pick up a few and spray-paint them for a pop of color! Here’s a clever tip from Arlene N. for dealing with textbooks. 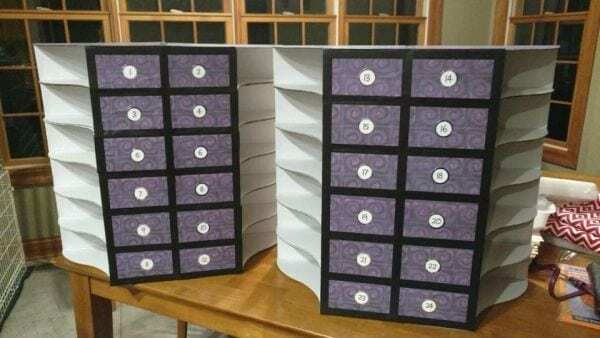 “I have bookshelves, and I organized their books by number at the beginning of the year. 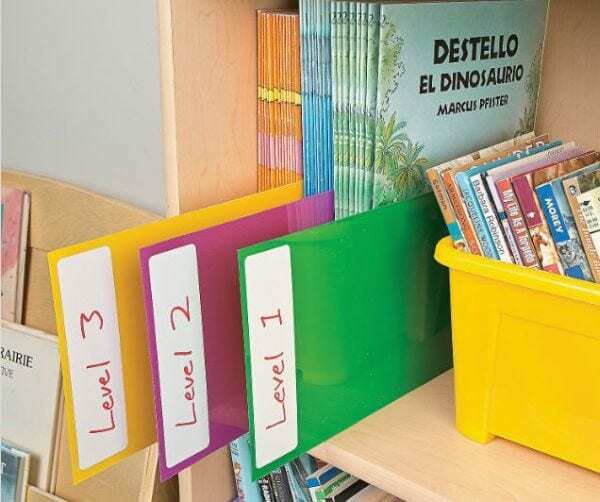 So my student who’s number one has all of his books in one spot, so it’s a quick transition when they have to get any book.” Add colorful library shelf markers to make the process even easier. For younger kids, many teachers love this DIY project. 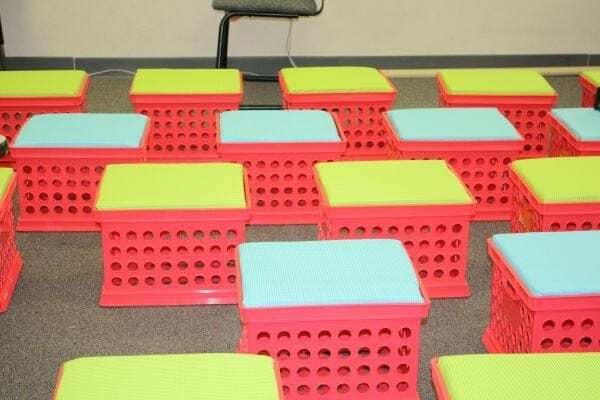 Turn plastic milk crates into student storage by adding a padded seat. The hardest part is getting the wood cut to fit the top properly—and many home improvement stores will do the cutting for free when you buy the wood, so ask around! Worried about stains? Cover the seat cushions with vinyl tablecloths from the dollar store instead of regular fabric. Stack milk crates under or alongside tables and hold them together with zip ties. 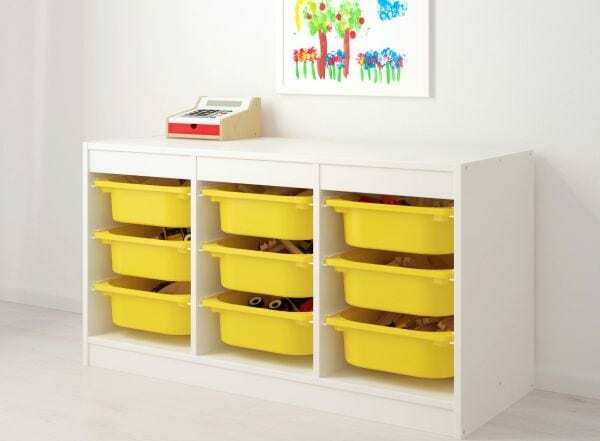 Add other storage bins as needed. Talk about simple student storage solutions! 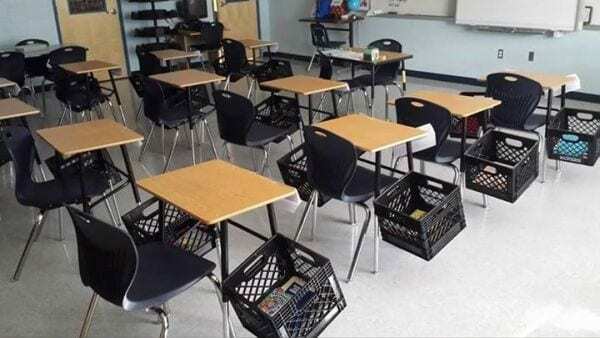 One more milk crate option: Attach them to individual desks with zip ties, as shown. 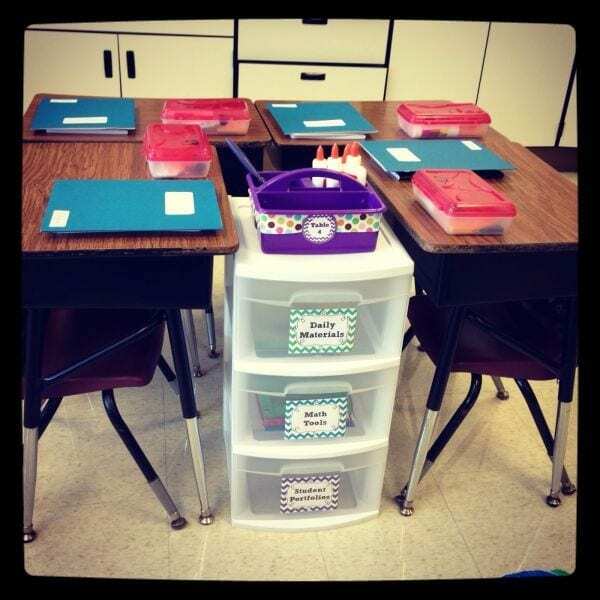 Even if you push the desks around, each student’s supplies go with them! 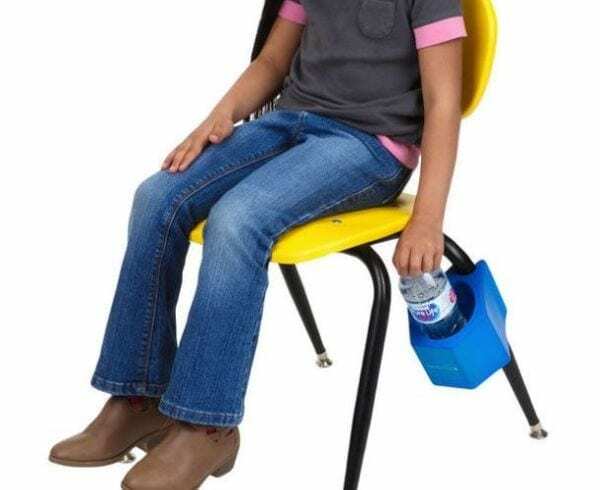 These clever water bottle holders clip to chair legs, keeping bottles off tables and away from papers and books. You could also use them to hold pencils, pens, and markers. Julie B. says, “I teach science and have lab tables. 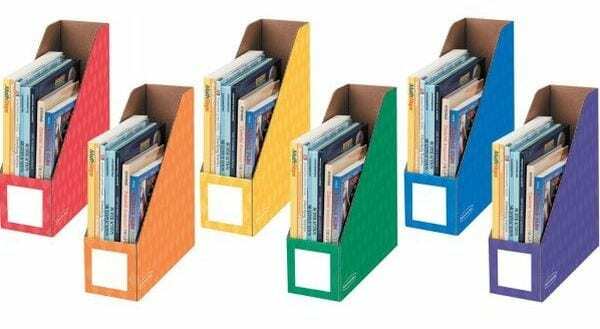 This year, I am getting those magazine bins because I found they hold eight textbooks.” Cardboard files are inexpensive but may need to be replaced each year. Plastic files cost more up front but might be less expensive in the long run. What student storage ideas do you have? Share your best tips in our WeAreTeachers HELPLINE group on Facebook. Plus, get more organization hacks here.